Rodeco works to understand your blast room equipment needs with a goal to provide the right piece of equipment to maximize production and safety, while minimizing capital costs when possible. We also offer new installations and servicing for existing equipment. 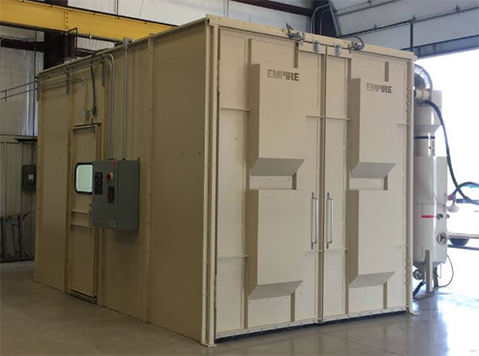 Rodeco offers fully integrated Blast Rooms of any size. With a Rodeco blast room, you can select from a range of proven components for media recovery and reclamation. Additionally, we offer a complete range of accessories and options designed to maximize productivity within different working environments. Designed for dust collection with high-production equipment such as automated air-blast systems, these EM cartridge collectors increase air flow, provide more filtration area and clean filters automatically. The filter cleaning system features a photohelic gauge provided as standard equipment. This unit responds to high- and low-set points, measured in terms of pressure differential across the filtering material, to activate the jet-pulse cleaning process. Once the pressure limits have been set, these collectors essentially clean themselves. The Empire line of high efficiency cartridge dust collectors providers a cleaning efficiency of 99.999% down to a particle size of 0.5 micron. These collectors meet the stringent guidelines set on particle emissions. We offer a wide variety of C.F.M. range to meet any ventilation requirement. 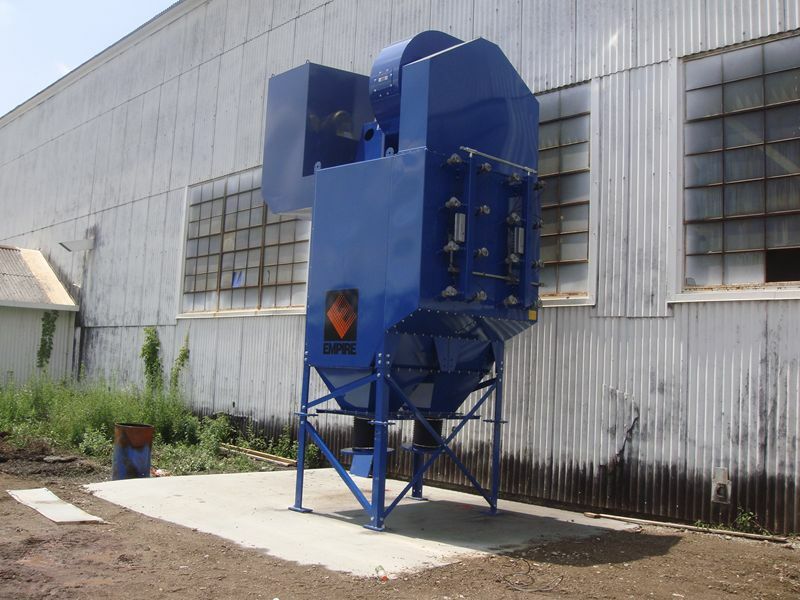 The pulse cleaning system automatically cleans the filter elements while the dust collector is in operation, eliminating any production down time for a filter cleaning cycle. 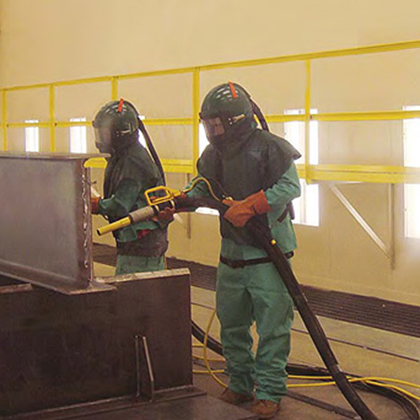 Media reclamation can be one of the most critical aspects of air-blasting processes. In addition to media costs, reclaimer performance affects operating speed and quality. Failure to remove dust and fines have an adverse effect on consistency and productivity. If oversized particles are returned to the blast system, for example, clogging and/or inconsistent results often occur. Pro-Finish reclaimers provide precise control of media recycling. 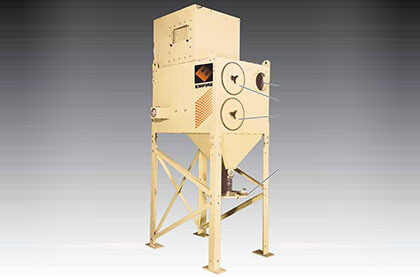 These reclaimers can be adjusted to control the recovery of fine, medium or coarse working materials while removing unwanted particles from the blasting process. As a result, you enjoy reduced media costs as well as consistent, high-quality results. All Pro-Finish reclaimers deliver 99% efficiency, include a screen to prevent over-sized particles from clogging, provide an easy-open access door for quick cleaning and filling, and feature 12-gauge construction for extended service life. 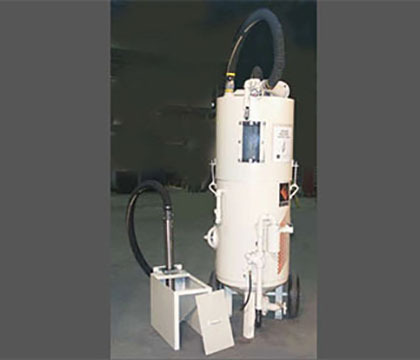 Empire's Vacuum Recovery Systems (VRS) quickly and economically recover media to all Empire SuperBlast® portables, as well as other pressure pots with diameters of 18, 24 or 30 inches. These pneumatically powered systems convey as much as 140 pounds of A-36 aluminum oxide per minute - more than 8,000 pounds an hour - up a nine-foot lift with 200 cfm of air at 100 psi. Standard models, using only 100 cfm, are available for less demanding applications. 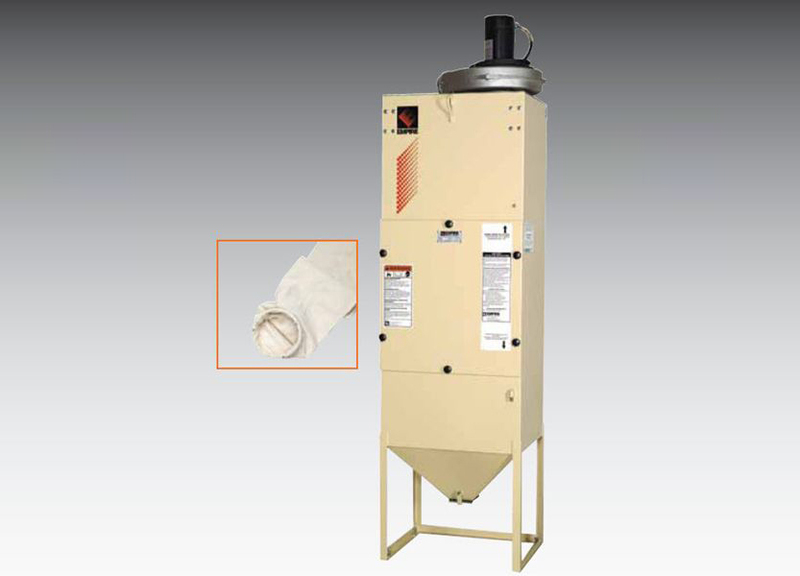 Empire Vacuum Recovery Systems feature rugged welded construction and a durable finish. 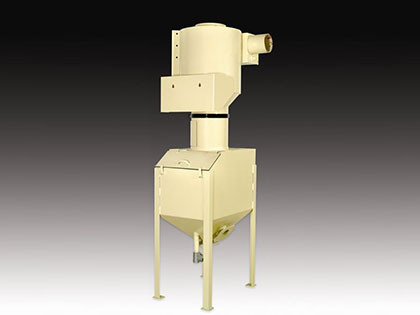 Standard equipment includes: Storage hopper with viewing window, high-velocity venturi head, two-inch adjustable carburetor, floor-load hopper with trash screen, and two-inch inlet and outlet connections. Options are available for "pull-chain". 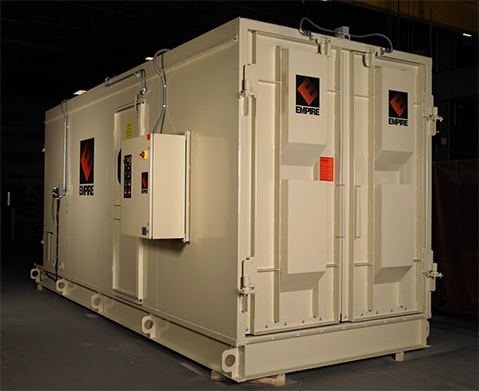 Floor hopper, including a trash removal screen, facilitates media recovery on work sites and within custom blast enclosures. Hopper may be recessed in pit for sweep-in collection of abrasives. 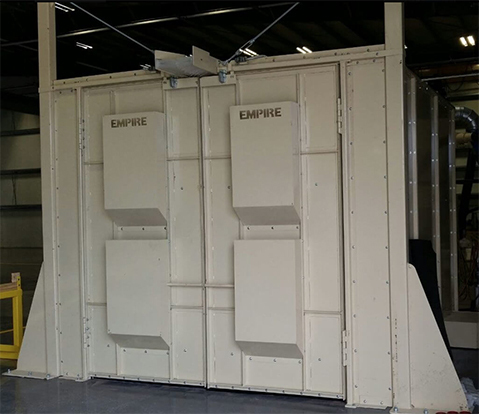 Empire's Vacutrans™, a high-velocity venturi head, enables retrieval of media at rates exceeding 8,000 pounds per hour. Optional silencers and exhaust-hose extensions are available for sound attenuation. CONSULT WITH RODECO TO LEARN MORE ABOUT OUR TURNKEY INSTALLATION AND FIELD MAINTENANCE PROGRAMS.